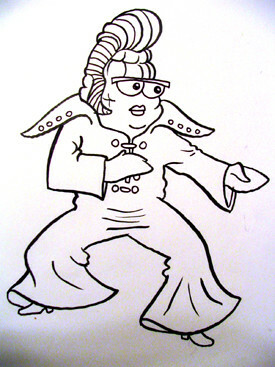 One of my preliminary sketches for Cornstock 2005 had an Elvis Corn character in the margin of my sketch book. The Cornstock promoter thought it was funny and asked if I would create a really quick version for him personally. This is the result... sketched then inked. I'll probably add some color after I complete the other corn characters shown yesterday. 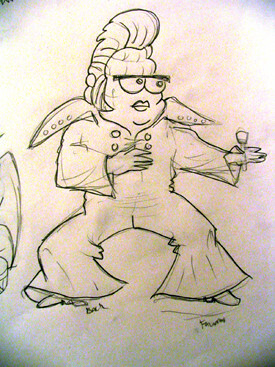 Color should help "sell" the idea of Elvis as corn... a yellow face with green hair might do the trick.